Friday, June 8 from 6:30 p.m. until 8:30 p.m.
Sunday, June 10 from 11:00 a.m. until 1:00 p.m.
Japanese calligraphy artist Rihaku Inoue will hold a calligraphy demonstration and workshop at teahouse Setsugekka in the East Village. 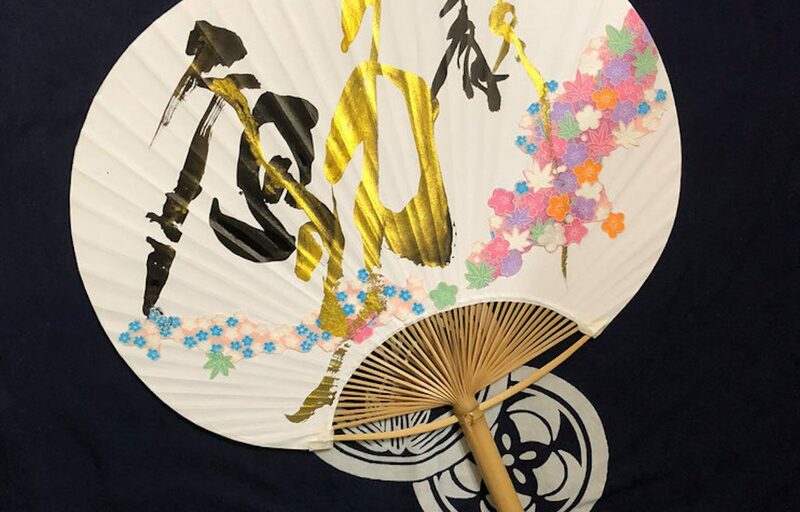 The theme is “Draw your Summer” on uchiwa, a Japanese fan, with a writing brush. Based in Japan, Rihaku is active at numerous solo exhibitions, workshops, and demonstrations domestically and overseas. She creates a new type of Japanese calligraphy in which she not only writes with a brush and ink but also incorporates color, such as acrylic paints. She produces her works to present the beauty of “Sho,” instant art, to the world. Rihaku will perform calligraphy demonstration using a special brush to show participants how to write characters. Then, participants will decorate uchiwa by writing their theme of summer with a brush and ink. Tea ceremony master and owner of Setsugekka, Souheki Mori, will serve matcha and dry sweets.